Twenty years ago, a brown, melon-shaped bird with a white brush moustache helped found a conservation charity that has protected thousands of hectares of habitat for threatened birds and other wildlife: Fundación Jocotoco. The story goes that Dr Robert Ridgely, a world-renowned ornithologist, was trekking through cloud forest in 1997 on the eastern slopes of the Andes when he heard a succession of sharp hoots that were strangely unfamiliar to his well-trained ear. To his surprise, a large, round bird came hopping out of the undergrowth in a burst of feathered anger, affronted by the intrusion into his territory: the Jocotoco Antpitta. How it had avoided identification for so long has remained a mystery. The species was further studied and it became apparent that it had a very limited range, and was therefore dependent on the preservation of these forests for survival. Using funding from the Simpson Educational Trust, Robert and Nigel Simpson, World Land Trust (WLT) Council Member, then helped to establish Fundación Jocotoco, an organisation dedicated to protecting the habitats of Ecuador’s endemic birds. It was Nigel who then made contact with WLT on the recommendation of WLT Honorary President Gerry Bertrand. 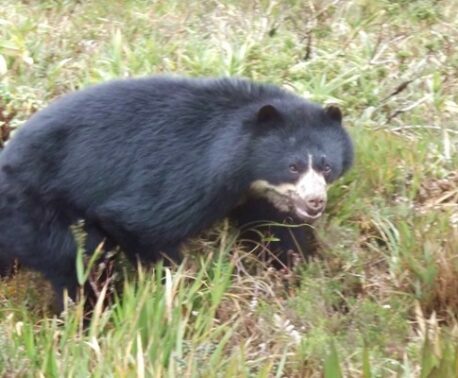 A partnership began between the two organisations when WLT helped Fundación Jocotoco purchase the land required to create the Tapichalaca Reserve. At the time, Tapichalaca held almost the entire known population of Jocotoco Antpitta, as well as ten other bird species classified as threatened on the IUCN Red List. 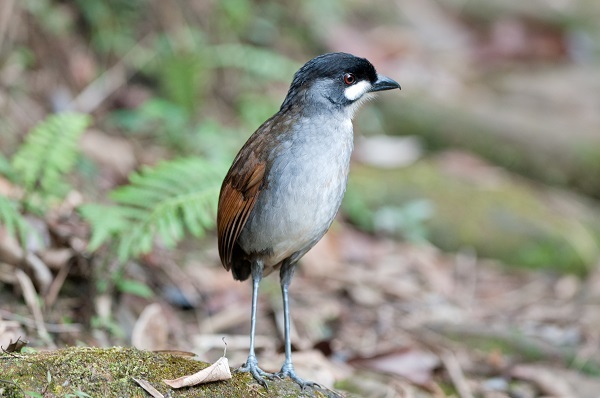 The current population of the Jocotoco Antpitta is estimated by the IUCN to be between 250-500 individuals, but this figure is speculative and more research is required. Jocotoco has installed 30 artificial nesting sites at Tapichalaca and surrounding areas to help bolster the population of the Golden-plumed Parakeet, which is principally threatened by habitat fragmentation and loss of nesting cavities due to exploitation of palm wax. Since Fundación Jocotoco was founded, it has established eleven reserves protecting more than 43,000 acres (17,500 hectares). These reserves protect populations of more than 800 species of birds, of which more than 100 are restricted-range or endemic species. As well as the Jocotoco Antpitta, other flagship species for Jocotoco include the Pale-headed Brushfinch, an Endangered species endemic to their Yunguilla Reserve which has increased from about 12 breeding pairs in 1999 to present number of approximately 120 pairs; the El Oro Parakeet, another endangered Ecuadorean endemic that can be found in their Buenaventura Reserve (the only protected area in this species’ range) and the Black-breasted Puffleg, a Critically Endangered hummingbird, found in Jocotoco’s Yanacocha reserve. WLT continue to work with Fundación Jocotoco to help continue their mission of protecting and restoring habitats for Ecuador’s endangered and endemic birds. 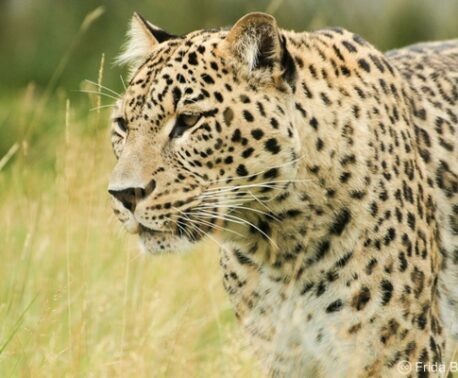 Most land purchases to extend and create reserves are carried out through the Action Fund, supported by the monthly donations of WLT Friends.